Everything we do as a company is underpinned by the belief that creating artistic works that challenge assumptions through inclusive collaboration ultimately builds stronger communities. 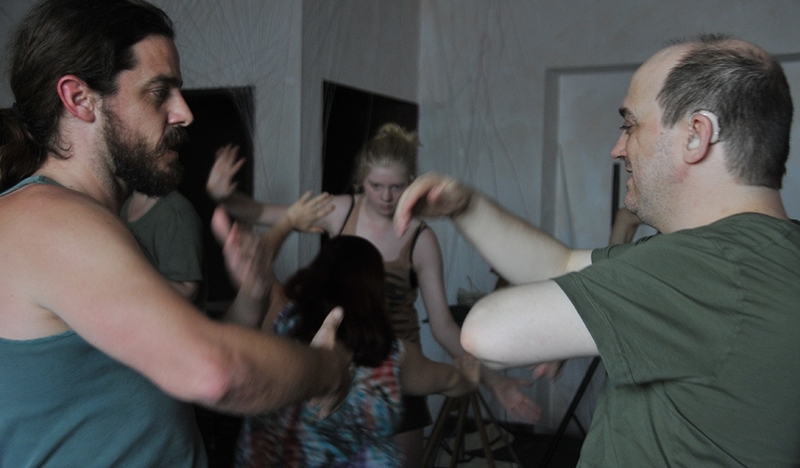 Our workshops engage people with and without disability to participate in a music, movement and performance making. The workshops are designed to build self-confidence, promote well-being and increase skills in performing and self-expression. Below is a list of our current workshop dates and times. Cost: $15 per workshop to paid upfront. 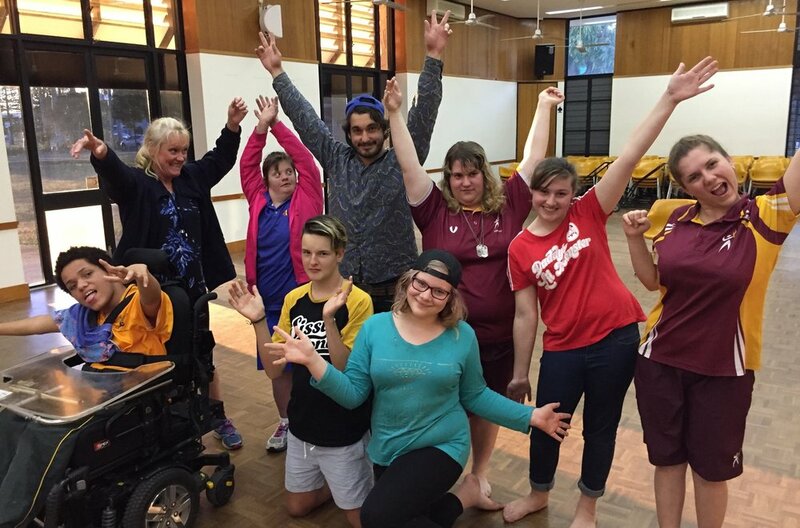 Crossroad Arts is an inclusive organisation. If finance is a barrier, please contact our office to discuss payment options. Capacity Build (09-increased social and community participation) skills development in a group. At present, Crossroad Arts services may be claimed for self-managed and plan-managed NDIS funds. 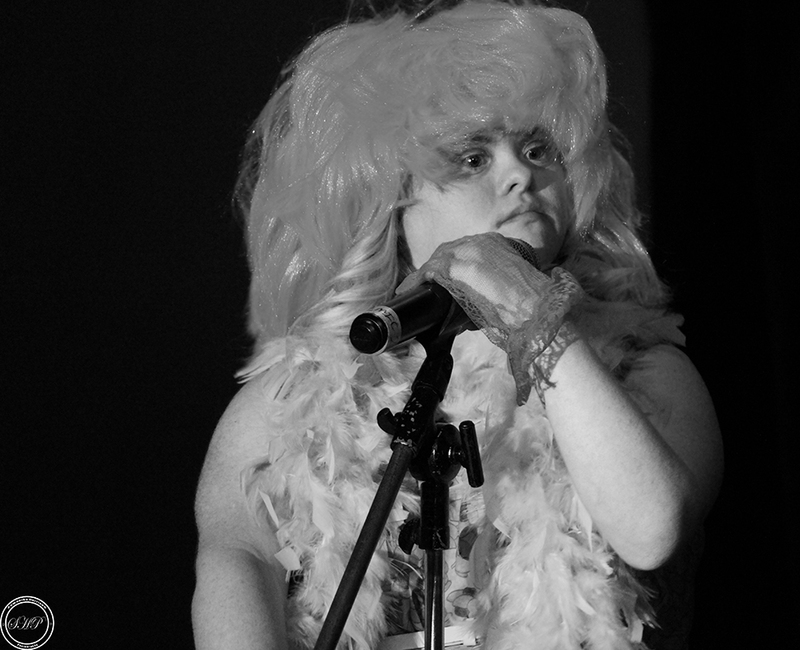 Loose Ends is our kooky social performance evening coinciding with International Day of People with Disability. It is an opportunity for all members of the community to come together and embrace and celebrate diversity in this unique performance event. Our aim is to address the gap of night-time accessible social events that showcase and provide a platform for contemporary work from a cross-section of the community. Loose Ends is our major fundraiser for the year. Support us by either purchasing a table, volunteering or performing on the evening. Loose Ends will be in the North Foyer of the Mackay Entertainment Centre on Friday November 30. Check back soon for more details! For more information, get in touch via the below options.